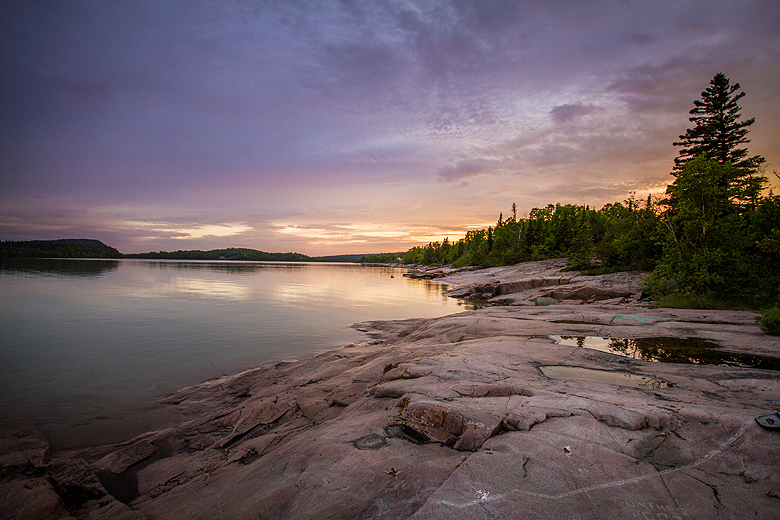 A panorama in Lake Superior Provincial Park. 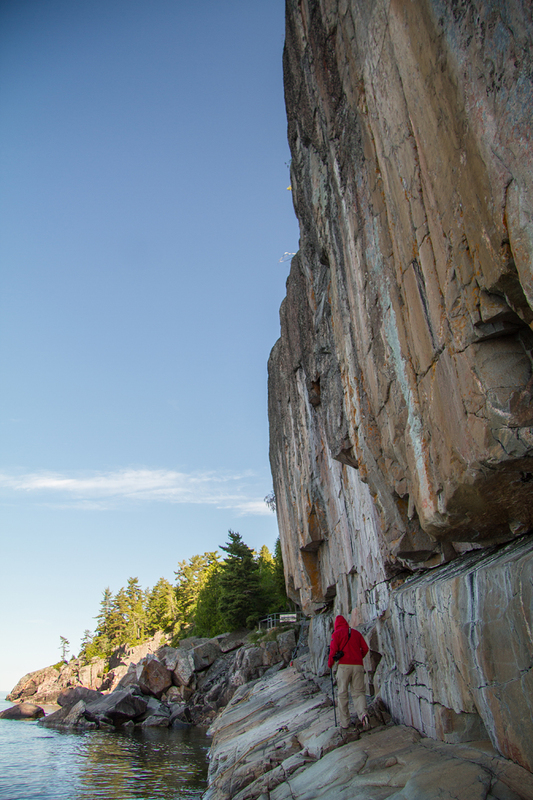 The cliff face on the left is where the Agawa pictographs are located. They don’t mess around – the area is covered in warning signs about how slippery the rocks can be and how many folks perish there. 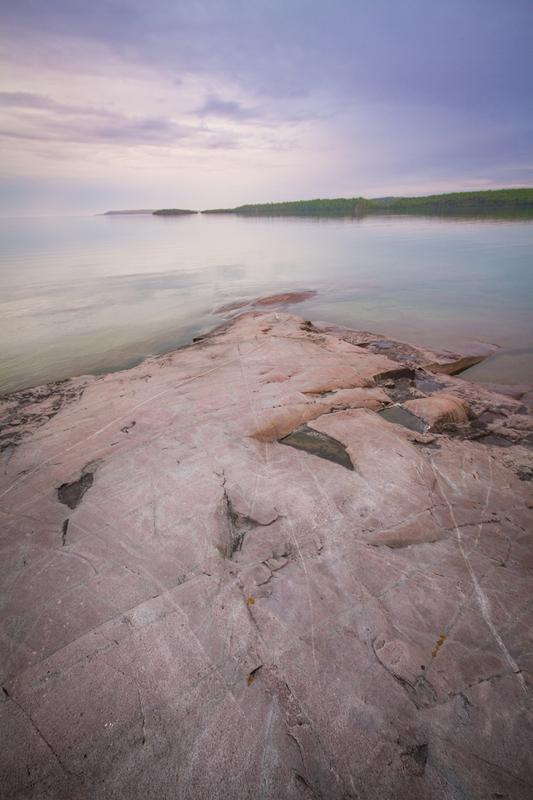 A few of the pictographs are only visible from the water, and date back 150 -500 years. Tito, getting a look at one of the images. We passed the middle of Canada! 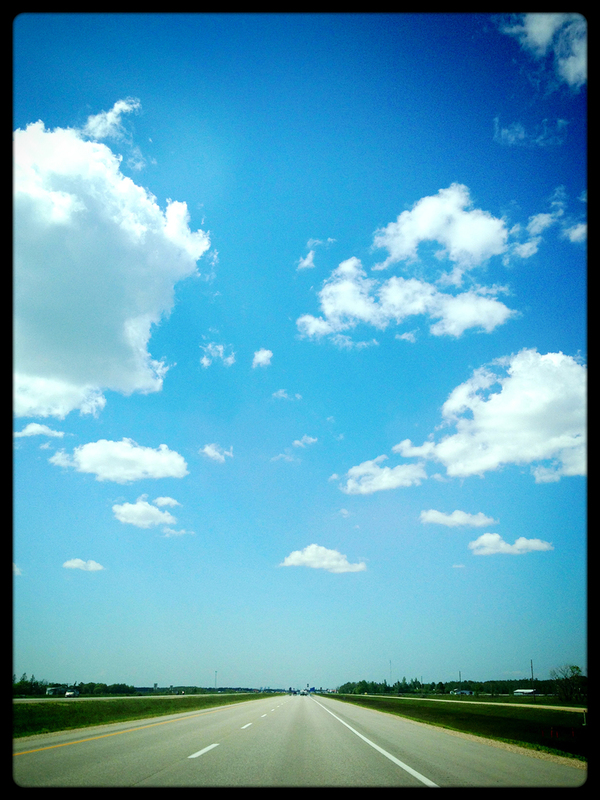 Manitoba is as flat as you’ve ever heard. 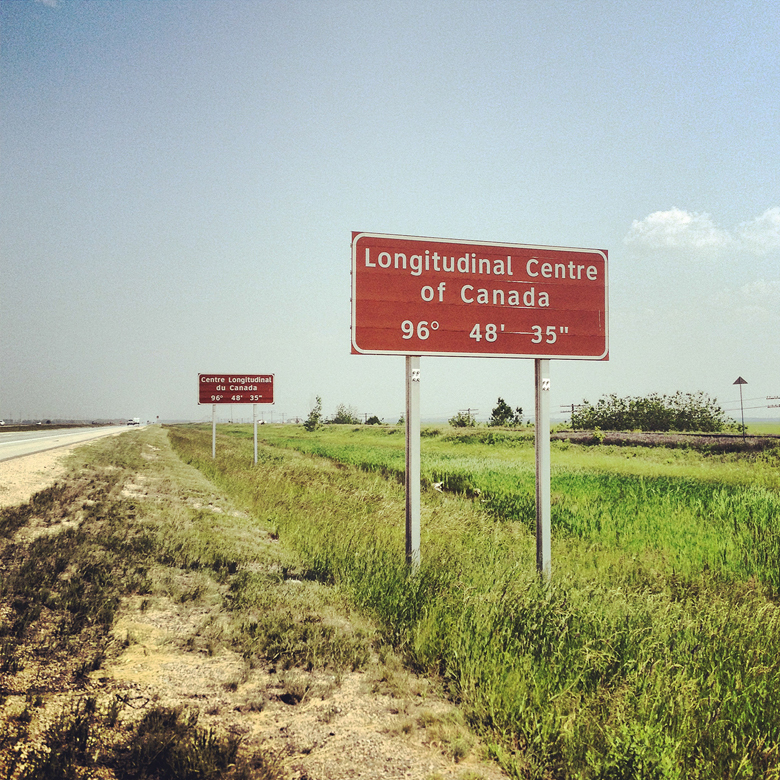 The highway literally flatlines after you cross the Ontario-Manitoba border. What skies!! 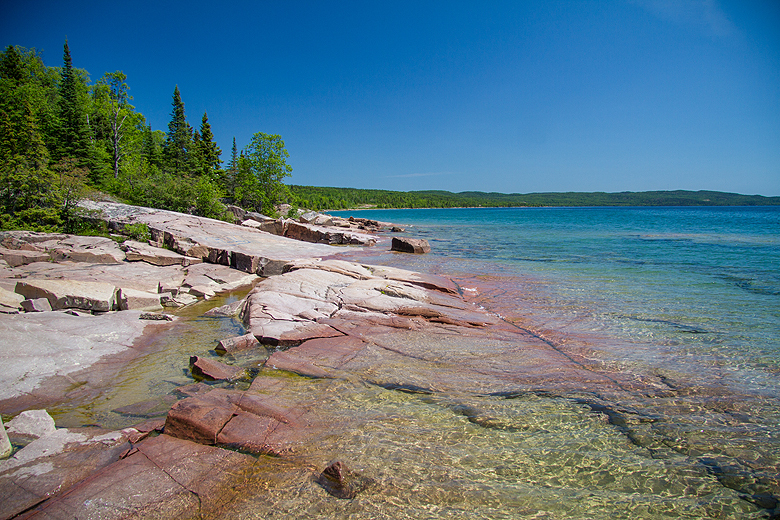 This is our favourite stop in Lake Superior Park – Old Woman Bay. 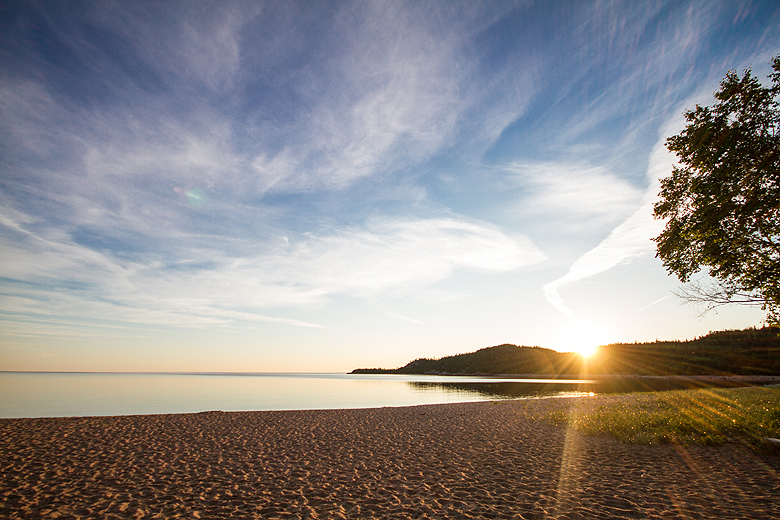 We took a great time lapse here of the sunset (more on that later). 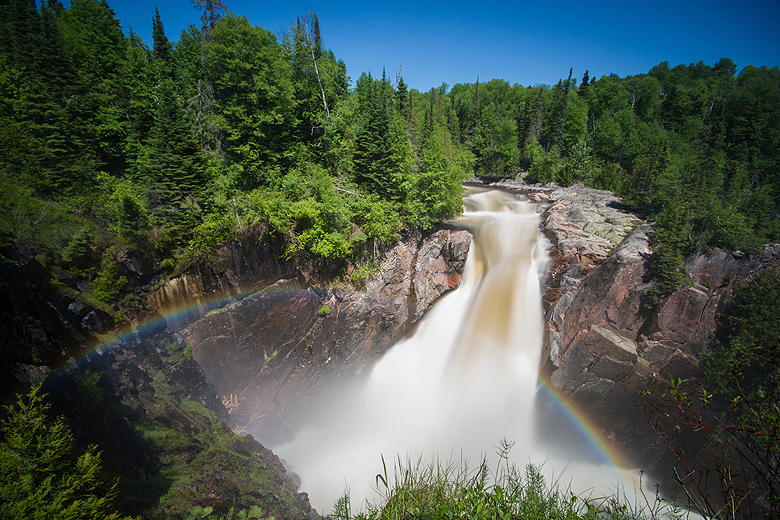 This was a great surprise – Aguasabon falls in Terrance Bay, at the top of Lake Superior off highway 17. The volume was incredible – the falls are huge. I discovered a ‘soul spot’. My happy places are made up of rocks and water and little else. One of my favourite places in the world is Peggy’s Cove Nova Scotia because of this. 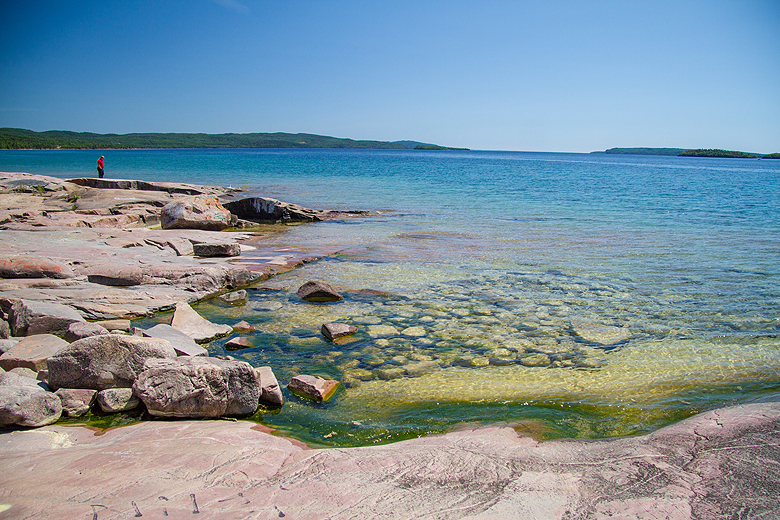 I was in love, and I couldn’t get enough photos of this lovely spot, called ‘Rossport Park’. I loved it so much I had to go back and shoot it during the day and dusk. 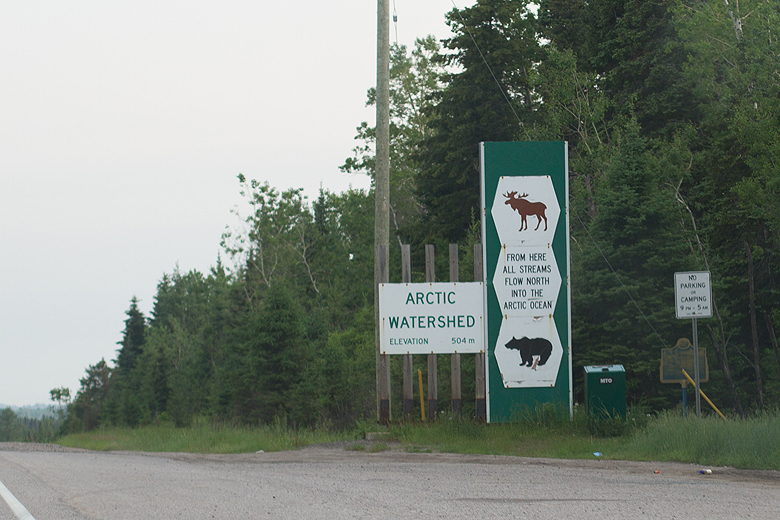 We also passed the ‘Arctic Watershed’ where all streams begin to flow north to the Arctic Ocean. 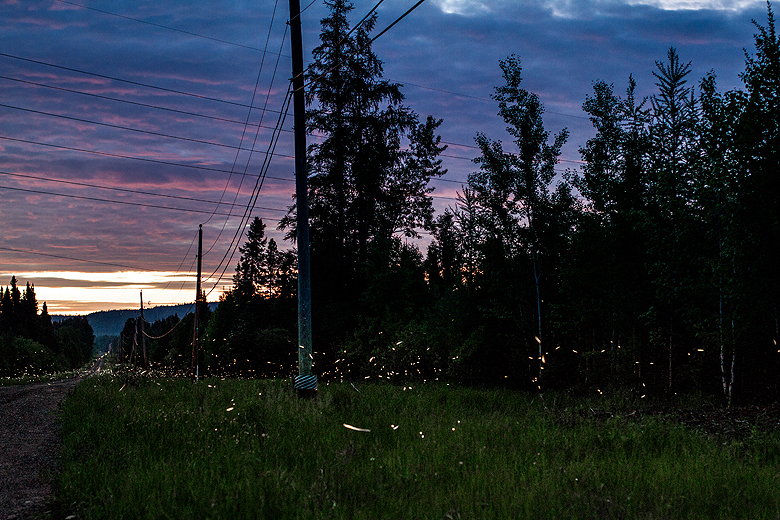 Finally, another amazing treat – we saw fireflies on our second night, just outside Thunder Bay. Thousands of them danced for us. It took some experimentation, but I was thrilled to be able to capture them on camera. We saw many other treats, the northern lights (more on that later!) a bobcat (they’re very rare and shy) a moose, a bunch of deer, one fox and a black bear. We visited the birthplace of Winnie the Pooh, had incredible night skies and got in a little hiking. 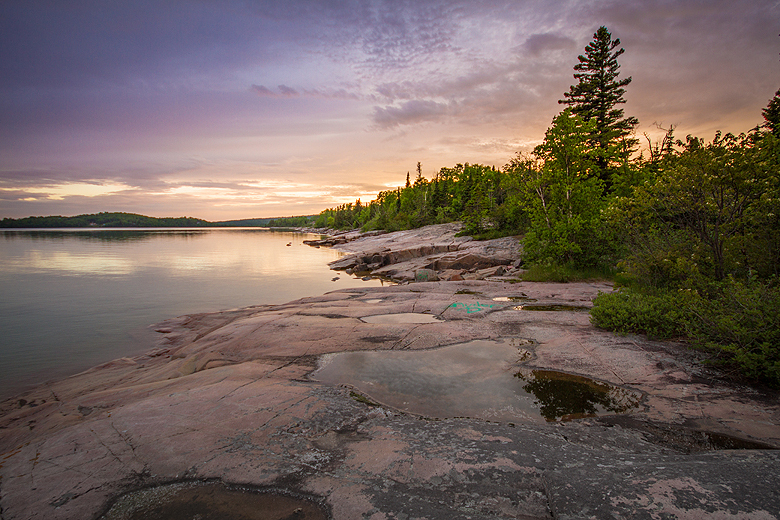 North Ontario is definitely my favourite place on earth! Awesome pictures! I was just in the Thunder Baynarea for a week and fell in love with the Kakabecka Falls Did you see them? Slso the sleeping iany! 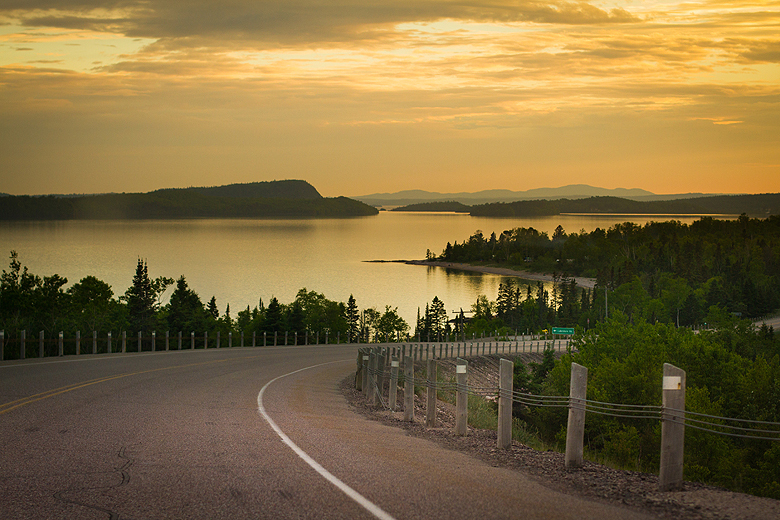 You took quite the drive, Old Woman Bay is awesome, and I love the park you found……you also stopped in the bend in the road above Thunder Bay that I drove through too fast in the midst of trucks and got a great shot, good job…next time for me.